WHY IS IT IMPORTANT TO KEEP YOUR METER CLEAR OF SNOW AND ICE BUILDUP? Accumulated snow places stress on your meter piping. Damage to the piping can cause a gas leak. If there is an emergency, emergency response crews need clear access to your meter. Excessive snow cover may result in abnormal pressure, affect appliance operation and interrupt your service. Ice and snow may block the electronic reading of your meter. Our desire is to accurately bill your gas usage. DID YOU KNOW SNOW AND ICE CAN DAMAGE GAS METERS? Accumulations of snow and ice can cause the regulator and meter to malfunction and result in a hazardous situation. A buried regulator may become clogged, affecting the supply of gas to the appliances. When melting occurs and the snow becomes wet and heavy, it can put pressure on the meter. This pressure can cause strain on the associated piping. In extreme cases, the possibility exists that the piping could break. Meters are designed to withstand extreme weather conditions, but remember to protect them from ice and snow buildup during the harsh winter months. Check your gas meter, gas piping and appliance vents regularly to ensure they are clear of snow and ice. Use a snow brush or broom to gently clear any snow or ice. When removing heavy accumulations of snow or ice, do not strike meters with snow blowers, blades or shovels. If your meter is near a sidewalk or a drive way, make sure it is visible to anyone using a snow blower and/or a snowplow. Do not kick your meter to break or clear ice. 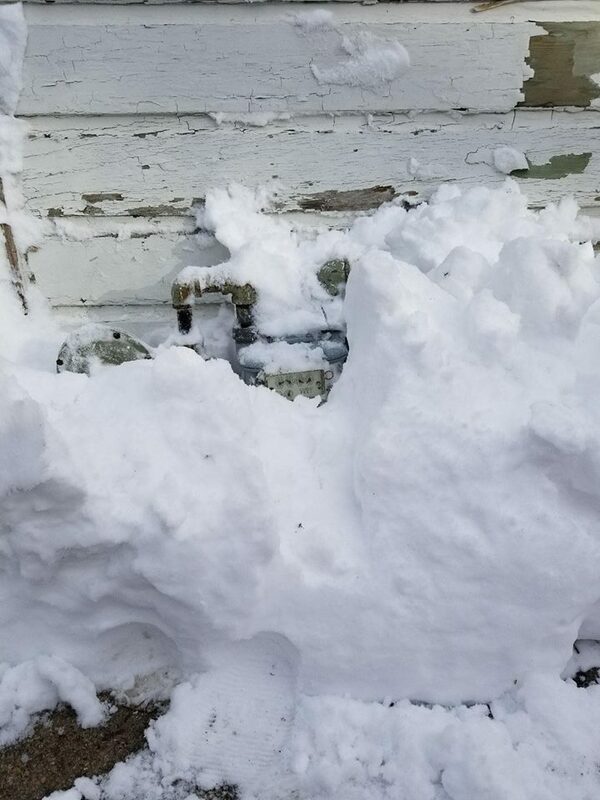 Don’t pile snow up against your gas meter or appliance vents. Protect your meters by removing overhead icicles and snow from eaves and gutters to ensure they do not cause damage as they fall. Also, dripping water can splash and freeze on the meter or vent pipes, which could affect proper operation. When you dig out your gas meter, please watch for these warning signs. 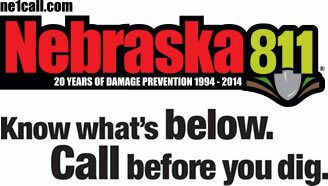 If you believe damage has occurred to the meter or you have no heat or smell gas, call Nebraska City Utilities immediately @ 402-873-3353.